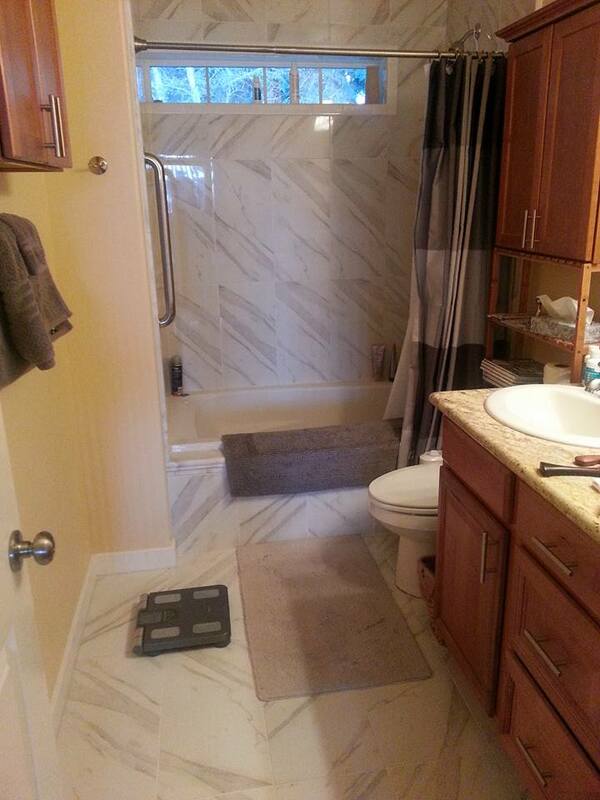 When my husband and I bought a new house two years ago, I was dazzled by the master bath’s marble floor. White with slanting veins of gray and brownish-gold, the pattern excited my eyes. The marble was shiny, yet didn’t appear polished—it seemed to glow from within. 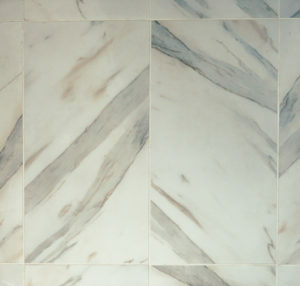 The elegant pattern was repeated in the marble shower tiles. I wasn’t sure how to clean marble, so I did a little internet research. What I found scared the heck out of me. “Great care is required to maintain your floor’s shine and prevent scratching,” one site said. “DON’T use vinegar, bleach, ammonia or other general-purpose cleaners,” another warned. Vacuum regularly, but not with an old machine—the wheels and attachments can scratch up your marble, the internet said. So can sand, and even dirt. Yikes! For months, I just vacuumed (fortunately, my machine was new) and spot-cleaned with a moist paper towel. I was afraid to mop, since water can stain marble and I didn’t know how much was too much. Since then, I’ve boosted my confidence about caring for marble. It’s actually simple once you know the basics. Marble is porous and can stain when it absorbs liquids, says Jacqueline Tabbah, vice president of the family-owned International Stoneworks in Houston, which restores stone floors. Stains usually occur in marble kitchens, caused by grease, though make-up and lotions can stain marble surfaces in the bathroom. Stains discolor marble and have a dark appearance. An etch mark is different—it’s a chemical corrosion of the surface layer of the stone, rather than a seeped-in stain. Etching is caused by the acids found in most household cleaners and in substances like tomato sauce, lemon juice, and alcohol. Etch marks are often invisible when you look straight at them, but at an angle, they appear duller and less shiny than the surrounding surface. Many people think etch marks are stains, then search Google about how to remove them and get completely wrong information, Tabbah said. Here’s an easy way to tell the difference: If a spot is lighter than the surrounding stone, it is most likely an etch mark. If a spot is darker than the surrounding stone, it is probably a stain. To remove stains, use a poultice, which you can buy at a hardware store. Spread it on the stain, then cover the area with plastic wrap, holding it down with painter’s tape. The next day, gently wipe it up. If the stain is still there but noticeably lighter, repeat the procedure. If it’s just as bad as it was, don’t bother—it will only come out with the help of a professional restorer. If you have etch marks, the good news is that they’re less obvious than stains. The bad news is, you can’t remove them. But you can prevent them by wiping up spills immediately and using the right cleaners. Acids are the main enemy of calcitic marbles. Avoid cleaners containing vinegar or citrus, as well as abrasive powders and creams, which can scratch softer stones. 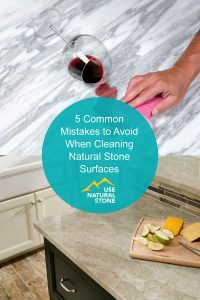 Very strong household cleaners like toilet bowl cleaner, metal cleaner, or oven cleaners can cause irreparable etching or permanent color changes in stone. Tabbah recommends finding a cleaner with a pH level of at least 7 or 8, or buying one that specifically mentions marble. It turns out my fears about mopping were overblown. “A microfiber mop is the main line of defense for your marble floor,” says Tom Workman, owner of Floor Cleaning Experts, a Florida company that cleans and restores commercial and residential floors. A dry microfiber mop draws in dry hair and dirt. For deeper cleaning, saturate the mop with water. The thin microfibers, less than 1/200th the width of a human hair, have tiny triangular wedges that lift grease and oil as the mop glides across the floor. They do a great job of cleaning without using chemicals. 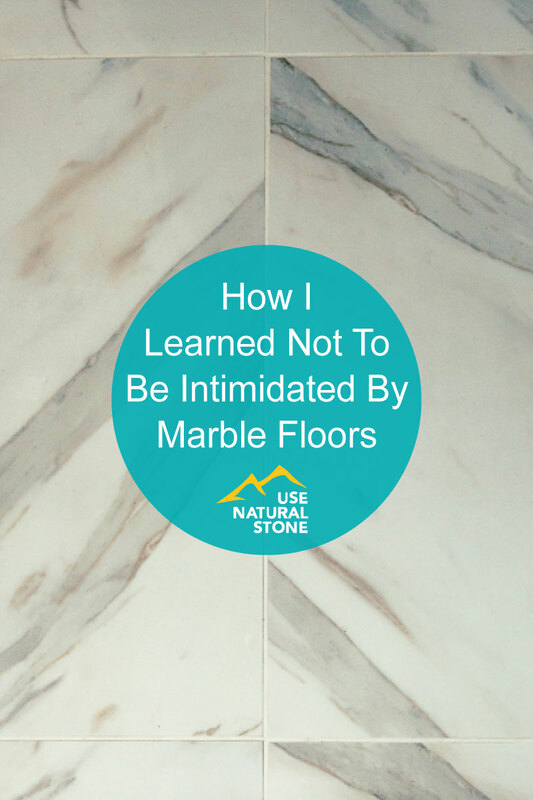 The small amount of water won’t stain your marble. If you have hard water, a water softener is a must, Workman says. Mineral deposits build up slowly but surely, requiring professional honing and polishing to remove. My house has well water, full of minerals and hard as can be. That explains the streak marks in my shower. If you don’t use a water softener, at least squeegee the walls after use. Place a mat outside your front door and another mat or a rug inside. 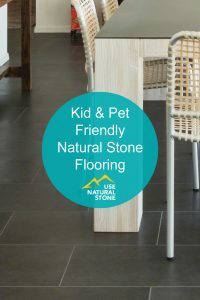 They’ll absorb dirt and sand before it gets to your marble floors. Don’t shy away from marble—caring for it is easy if you follow these simple rules. And for unique, elegant beauty, nothing else compares. After two years, the dancing swirls of gray and gold in my marble tiles still excite my eyes. But the thought of cleaning them no longer sends butterflies to my stomach. 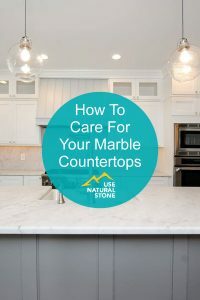 For more information for caring for marble floors and other stone surfaces, visit www.naturalstoneinstitute.org/consumers/care.